Smashburger is a uniquely American burger chain that has spread its wings over the last decade or so. After humble origins in Detroit, it has since expanded into close to 300+ locations. This is a chain for burger lovers, a chain for people who appreciate fine American fare and people who like to enjoy a beer or some wine with their food. It is also a chain that manages to be different when generic is often good enough, a chain that is always striving to stand out and manages to do just that. 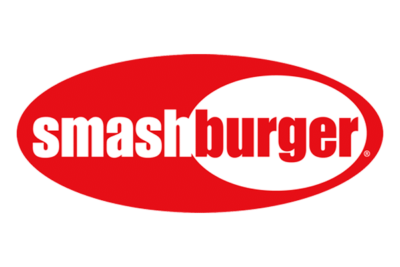 Smashburger is so-named because they literally smash their burgers. This creates a product that is said to be better for it, and one that is like nothing else on the market. There are a lot of burger chains out there, from the historic White Castle to the mighty McDonalds and the fast rising Five Guys. They all have their own angle, their own way of doing things. And Smashburger is no exception to that. But for many, their angle is even better, even more unique. And that is evident as soon as you step foot inside this restaurant. 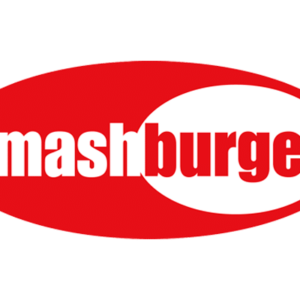 The Smashburger name comes from the cooking process, where the burger patties are literally smashed. Smashburger first opened its doors in 2007. It entered what was, and still is, a very saturated marketplace. It’s a marketplace that very few chains succeed in anymore, as they have dozens of powerful brands to contend with from the outset. But Smashburger had something a little different. They offered a different burger, a bigger and more varied menu, and fresher ingredients. Their motto of “Smashed Fresh. Served Delicious” describes their process to a tee. Smashburger do not use frozen burgers that are heated in seconds and kept under hot lamps. They make their burgers fresh to order, ensuring you get something that is 100% fresh, 100% for you and 100% delicious. They are one of the few fast food chains to be vegetarian approved (with as many veggie options as there are meat ones) and they are also kid friendly and allergen friendly. This is a burger chain with a difference, a burger chain that stands out and remains original in a somewhat generic marketplace. Smashburger may not be expanding as quickly as some of its rivals. But considering it has only been active for a decade or so, it has done pretty well for itself. This is a chain on the lips of countless experts in the food industry and of many customers. As a result, it has been tipped to grow into an industry leader within the next decade or so. A burger that looks as good as its full-color billboard ads. Now there’s a rarity. There is a huge and diverse menu on offer here, making this an exciting burger chain that can rival the biggest in the business. They smash their burger patties during the cooking process, helping to creating a richer flavor and a juicier burger. It’s amazing how much this simple action improves the product. Even diehard burger lovers are a little surprised when they take their first bite. It’s not for everyone, but either way, it’s well worth the experience. The fact that they only use 100% Angus beef also helps to improve the flavor, and there are many delicious fillings and sides to go along with it. You can go the whole hog (quite literally) and throw some rashes of bacon on there, or you can opt for a healthier burger with avocado. There are lots of Veggie Burger options as well. In fact, Smashburger do more to cater for the vegetarian diet than any other burger chain out there. Many of the biggest chains don’t have a single vegetarian burger on the menu. Some of them add 1 or 2 options and leave it at that. But at Smashburger there are over a dozen to choose from, and these are not the only veggie options either. There are many special burgers that can only be found in certain locations. There is also an extensive secret menu to explore. Smashburger serve different burgers in different regions. These burgers are made to match the flavors and cultures of the local area. For instance, in their Northern California locations you can order a Nor Cal, which comes with bacon an blue cheese. Their Sin City burger even comes with its own unique bun. These burgers are often overlooked, and form a big part of the hidden menu as a result. But that’s not all you will find on the Smashburger secret menu. In fact, there is much more to it than that. Burger chains always have the best secret menus, from the huge McDonalds secret menu to the extra special In-N-Out Burger secret menu. And you can definitely add the Smashburger secret menu to that list. Like all secret menus on this site, the Smashburger secret menu is growing all of the time. We’re always communicating with customers and with employees, working hard to keep the content up. As a result, as soon as new secret menu items are added, you’ll see them on this page. And when you consider just how original this brand is and just how quickly it is growing, it should be just a matter of time before this hidden menu expands. Smashburger menu prices are neither expensive nor cheap. They are somewhere in the middle, roughly on par with the Carl’s Jr menu prices and the Hardees menu prices. You can expect to pay a lot more than you would at McDonalds (and there isn’t a Value Menu either) but less than you would pay at a casual dining chain like Buffalo Wild Wings. Their burgers come in two sizes: Big and Regular. There isn’t too much of a size difference, but it’s one that makes the $1 extra you pay look like a bargain. These burgers range from $5 to $7.50, depending on what you order. The same goes for the Veggie Burgers and the Chicken menu items. In fact, many of their larger menu items are in this price range, with the sides and the drinks costing around $2 on average. To calculate the total cost of your Smashburger order, whether to plan in advance or to compare with other chains, just visit our Smashburger Menu Prices page. All of their beef burgers use Angus beef, are smashed during cooking and are flame-grilled. This chain goes out of their way to ensure that everyone is catered for. That includes the health conscious, even though burger joints haven’t always been the most considerate in this department. And can you blame them? After all, there is a limit to how “healthy” you can make burgers and fries. But Smashburger manage to make this cuisine healthy, to an extent. You should probably avoid their burgers and other fried foods if you are looking to keep your calorie intake to a minimum. But they have salads and other healthy options available, and these are just as fresh and just as healthy as everything else on the menu. You can find more details on these, as well as the nutrition information on other menu items, on our Smashburger Nutrition Info page. One of the advantages to a new burger chain is that they tend to be more sensitive to food intolerance and allergies. The bigger chains have an attitude of, “We’ve survived so long without catering to them, so just add an extra menu item and draw a line through it”. But the newer chains know that the future of fast food is an industry that caters for everyone. This information is clear and concise, and on our Smashburger Special Dietspage, we have made it even clearer and even more concise. Pay this page a visit if you have special dietary needs and want to see where you stand when it comes to eating at this chain. If you don’t like burgers, there are also plenty of chicken dishes to choose from. Smashburger have around 150 locations in 9 countries. They can be found in 37 states, and their involvement with Jollibee (a Filipino cooperation that owns the rights to Burger King in the Philippines, as well as the Jollibeerestaurant chain) has helped it to grow overseas. There are more locations being added to this list all of the time. Forbes called Smashburger one of the “most exciting burger chains”, and suggested that the future is very bright for this young brand. The Smashburger store hours are dependant on the location and the region. In most cases they are open from as early as 5:00am or 6:00am, and remain open right through to 9:00pm. However, these times are reduced on Sundays and during certain holidays.